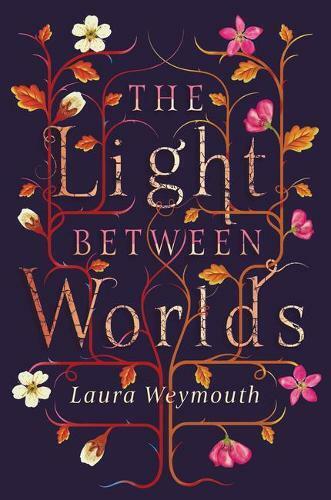 Six years ago, Evelyn and Philippa Hapwell were swept from war-torn England and into a woodland fantasy kingdom. Now back in the real world, eldest sister Philippa is relieved, but Evelyn is grieving for the magical place she called home. The journey from childhood to adulthood can be challenging; beyond the physical transformation of our bodies and the rollercoaster of our emotions awaits the struggle to understand who we really are, to discover our tribe and, ultimately, where we belong. Now, imagine living some of those difficult years in an extraordinary, magical woodland where you and your siblings are heroes; what would life be like once you’d returned to the ordinary world? Would you adjust? Or be filled with longing for the past? That’s the challenge facing Evie and (to a lesser extent) her two elder siblings. Their story begins in 1944 during a London air raid. As bombs fall, Evie wishes that she, her sister Phillipa and brother James could be transported away from this terror – and suddenly it happens as the trio find themselves in an idyllic woodland kingdom of Evie’s imagination! But when, years later, the three return to their ordinary lives, they find it hard to adjust and poor Evie is completely lost. Isolated and desperate to belong, she longs for the world that was her spiritual home. It’s a powerful story, written from two distinct perspectives – that of the troubled Evie, and of her big sister, who struggles to make sense of it all. A mesmerising and lyrical tale laced with the poetry of such greats as Tennyson and Dickinson, this is a must for those who enjoy magical realism, beautifully realised. Highly recommended for ages 14+. Athina Clarke is the children’s book buyer at Readings Malvern.